What are Residential Mental Health Facilities? ViewPoint Center is one of the most effective residential mental health facilities, offering comprehensive diagnostic assessments and personalized treatments to struggling teens ages 12-18. 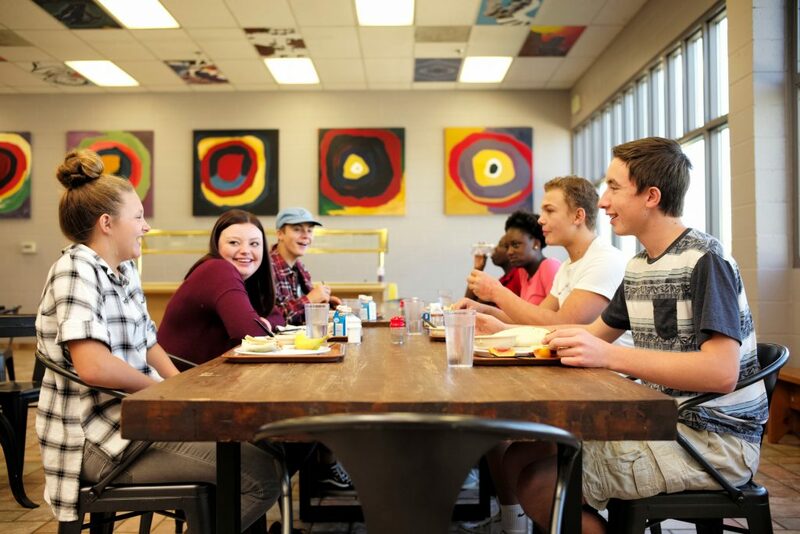 As a teen assessment center and mental health hospital, ViewPoint Center provides teens struggling with mental health issues stabilization, assessment, diagnosis, and treatment. Once patients arrive at ViewPoint Center, they are put in a stable environment, assessed in order to evaluate the correct diagnosis for them, and provided a treatment based on their assessments. Teens who come to ViewPoint Center suffer from mental health issues such as suicidal behavior, pain disorders, drug and alcohol abuse, and depression. Residential mental health facilities like ViewPoint Center are often more cost effective than outpatient therapeutic options because individuals can get the help they need in a shorter period of time with a team of experienced, caring clinical professionals rather than care over an extended period of time. Personalized treatment based on a series of evaluative tests to determine the specific diagnosis for each patient. Facilities catered to a specific group of people based on age, gender, or diagnoses. By specializing treatment for specific groups, residential mental health facilities are able to give patients the highest level of care. Nurturing feel in a clinical, professional setting. Individuals in residential mental health facilities are provided with many of the comforts of the outside world, with the addition of an extensive array of therapeutic services such as cognitive behavioral therapy, EMDR, and individual or group therapy. Round the clock supervision. Our program is extremely safe. Because patients are constantly being monitored, there is very little risk involved in their stay. Why send your teen to ViewPoint Center? Patients whose behavior has begun to negatively effect daily function or interrupt daily functioning entirely. Their condition may make it hard for them to go to school, work, or even get out of bed in the morning. An individual who needs to be monitored on a 24/7 basis due to the irregularity of their symptoms. Residential mental health facilities often offer round-the-clock care, with a variety of staff assigned to each individual. Because of this, members of staff can spot when each patient is displaying symptoms of their mental health struggle in order to find the best diagnoses and treatment options for them. An individual who has been displaying symptoms of suicidal ideation or self harm. With these patients, expert staff can provide the specific treatments individuals need to steer away from suicidal thoughts. Someone who has recently switched medications or needs proper medication management in order to find the best treatment for them. Residential mental health facilities are inpatient programs that provide therapeutic services to individuals struggling with mental disorders and other mental health issues. Often, residential mental health facilities provide 24/7 care in a secured environment to ensure safe, healthy conditions for all patients. Residential mental health facilities may take the form of a residential treatment center, wilderness treatment center, or even a mental health hospital. As a solution for a variety of mental health struggles, residential mental health facilities offer a wide scope of treatment options. Residential mental health facilities typically have strong medical assessments where medications can be reviewed in a singular comprehensive way– diagnosing an individual, determining how medications are interacting with the individual, determining which medications a patient should be on, and reassessing the diagnoses and medication levels of an individual. In a recent article in the Sun Coast News, mental health professionals are utilizing art as a way to help improve mental health. According to the article, art therapy has been helpful in helping patients resolve conflicts, improve interpersonal skills, manage stress, and deal with problematic behaviors. Many residential mental health facilities offer such art therapy techniques. One article on CNN discusses the powerful journey of one young woman struggling with bipolar disorder. After being hospitalized in residential mental health facilities and a period of time going through outpatient therapy, the young woman was able to find the best treatment plan for her specific symptoms. With the support of her entire community, the girl was able to work through her mental health struggles. The journey was a long and painful one, however, in the end she was able to find success and hope for the future. According to a recent study conducted by the University of Texas at Arlington, screening for depression and risk of suicide can help healthcare providers prevent suicide in teens. An estimated 80 percent of all 12-18 year olds are evaluated in a primary care environment every year. Often, healthcare providers are too busy to identify specific mental health conditions in teens. This occurs because depression symptoms in teens often look like regular teen angst, including moodiness, sadness, changes in appetite and sleep schedules. According to a 2015 study by Uni Research evaluating the association between sleep problems and self harm. The study found a strong relationship between insomnia and self harming behaviors. Researchers found that depressive symptoms were responsible for a few of the self harming behaviors. These associations remained significant even later in the study, which were fully adjusted analyses. A study conducted by the University of California Los Angeles found that young people who had mild episodes of depressive behavior, anxiety issues, or behavioral struggles were more likely to develop serious issues the made it difficult for them to be successful later on in life. By sending children to a residential mental health facility, these problems may have been helped and overcome with therapy and medication. According to new research from the University of British Columbia, young people who have a positive relationship with their parents are less likely to attempt suicide. Unfortunately, suicide is the third leading cause of teen death throughout the world.